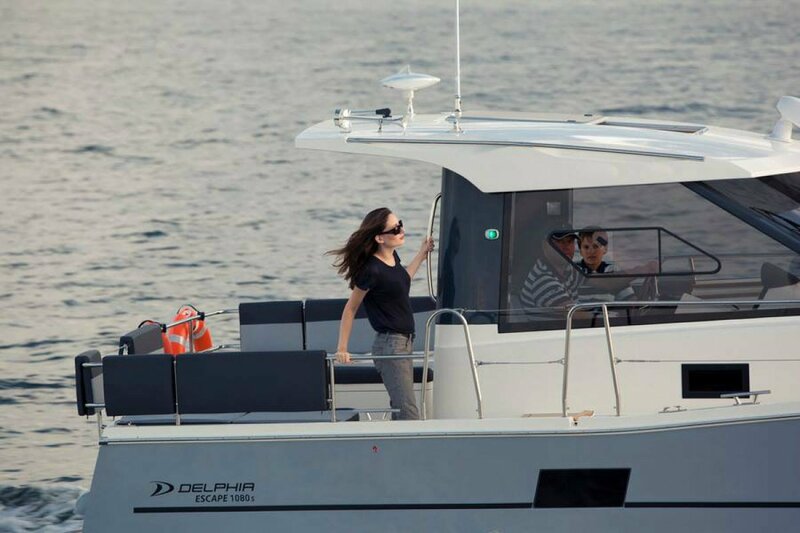 Delphia Escape 1080 S, "Sunny" is the latest model produced by Delphia Yachts, enlargening the range of displacement motor yachts called "Delphia Escape". 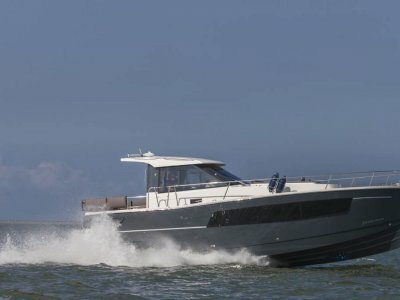 With its innovative, and modern contemporary design, this is an easily driven hull returning very good fuel economy and with moderate operating costs it means more time out on the water enjoying the cruising. 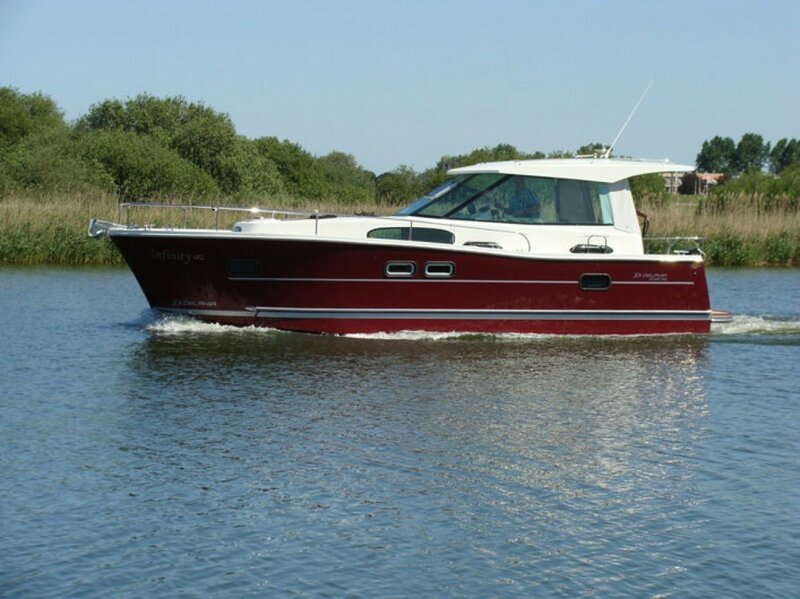 This is an ideal family boat equally at home for the menfolk to go fishing on, or perhaps for a couple to coastal cruise. 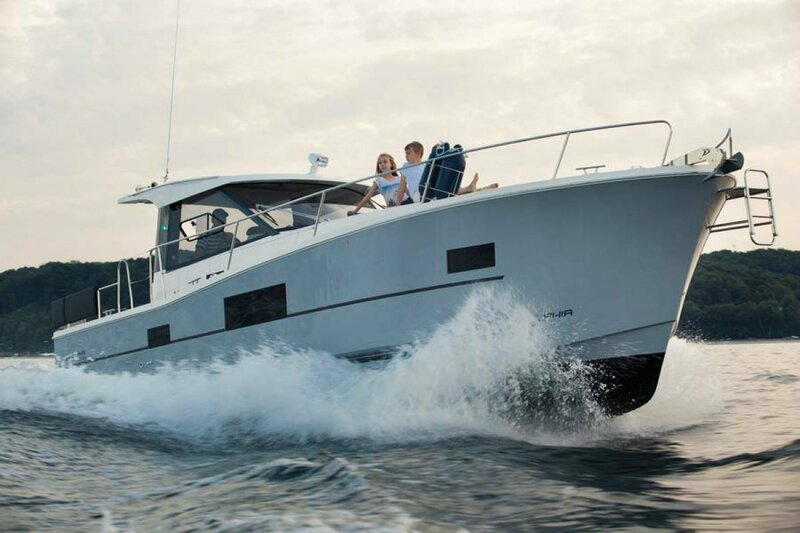 The 1080 was derived as a result of a survey undertaken by Delphia at the Dusseldorf Boat Show last year, where the public and dealers were asked what they would like in a motor cruiser of this size. After much deliberation on all the suggestions, the 1080 came to be. 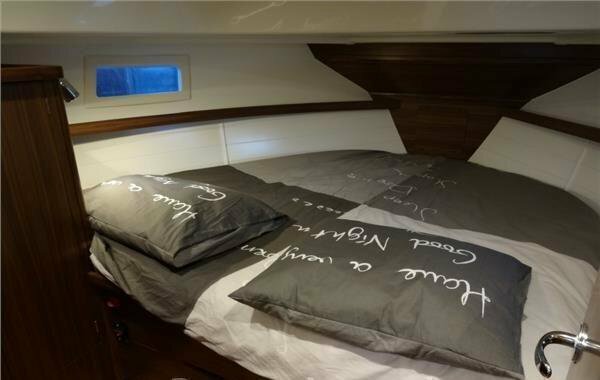 This boat is available in two versions of interior layout, the standard two cabin version, with a private double cabin forward, and private double cabin aft. 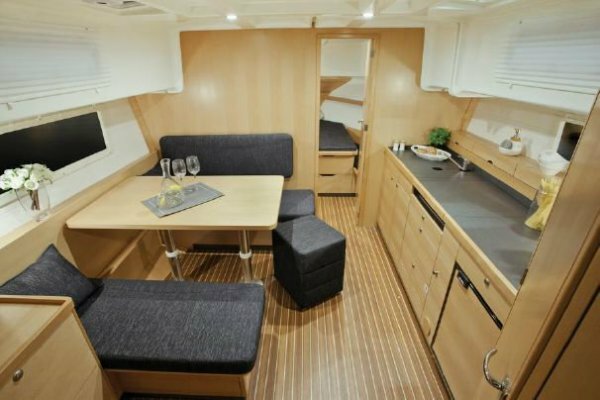 The 3 cabin version features 2 double cabins aft, as well as the forward cabin with double bed, hanging locker, shelves and seat. 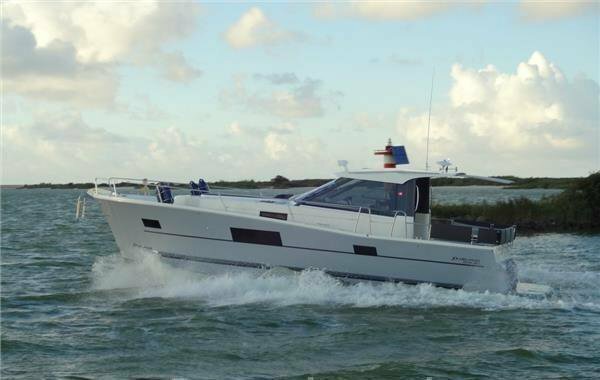 This motor yacht has been designed to comfortable handle long range offshore coastal cruising, with a large range of engine sizes available up to 180HP. 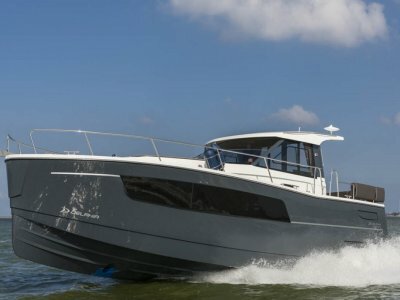 Standard hull colour is white, with dark blue waterline stripes, but Burgundy, Dark Blue and Graphite are available as additional cost options. 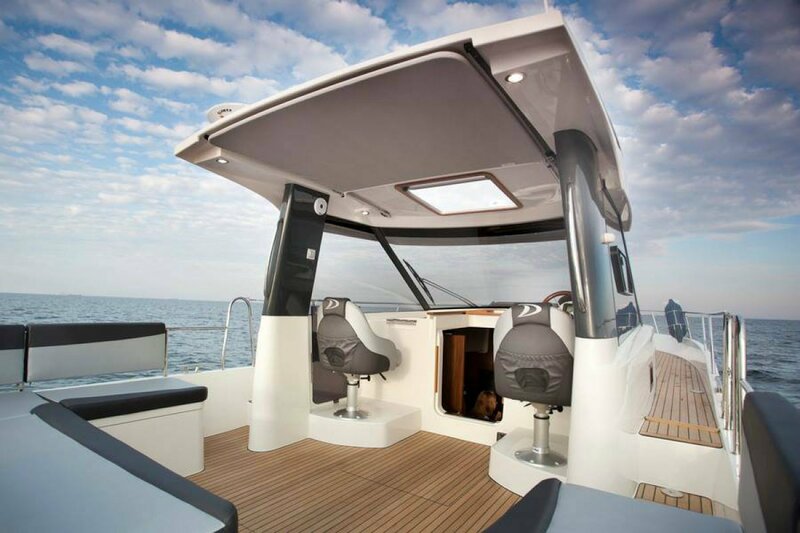 An optional retractable cockpit sunshade is shown in the photos giving extra weather protection to the cockpit seating. 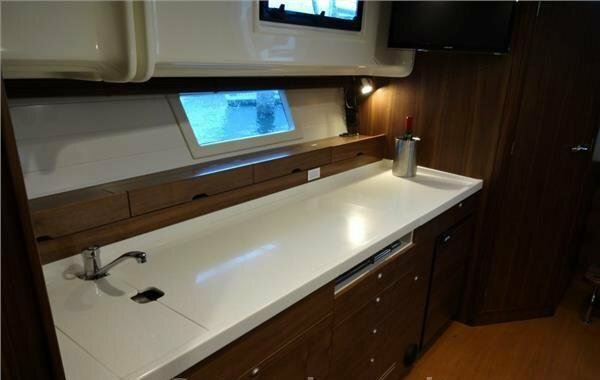 Hot and cold water is standard, as is a bowthruster making docking or manouvering in tight quarters a breeze. 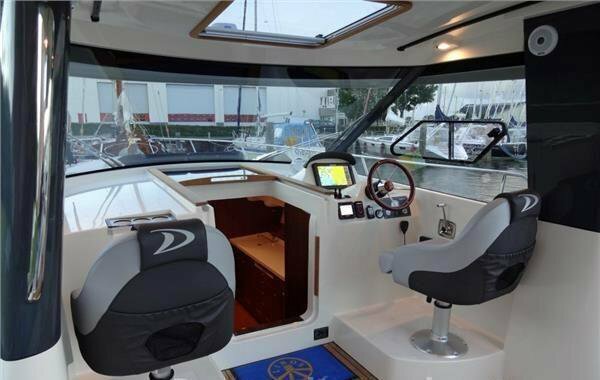 This boat is perfect for private owners who enjoy the independence of choosing their own cruising grounds in comfort and safety. 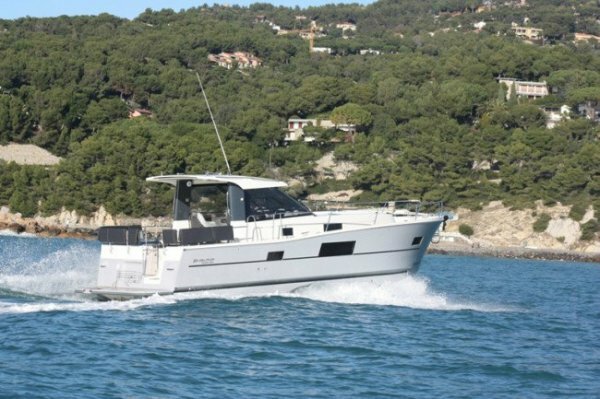 With its extremely economical running costs this boat could also be a good choice for charter operators. 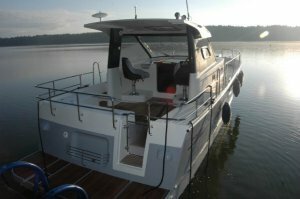 With tank capacities of 300 litres for boath fuel and water, the available cruising range and time spent on the water can be maximised. -----------more relaxation and fun in the sun. The 115HP Kubota based Nanni is suggested as having ample power and low rev torque in a low revving engine, and fuel usage is quoted at 10 litres per hour at 2000 rpm by Nanni. Very easy on the bank balance. 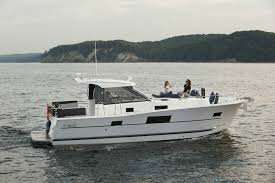 Other available engines include, 50HP Nanni, 75HP Volvo, 85HP Nanni, 165HP Nanni and 180HP Nanni. 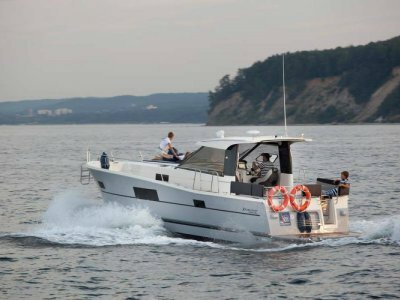 Engine choice could be matched to your area of operation, harbour cruising for example may find a smaller engine suitable and for open ocean the 115HP or larger might be considered more suitable. 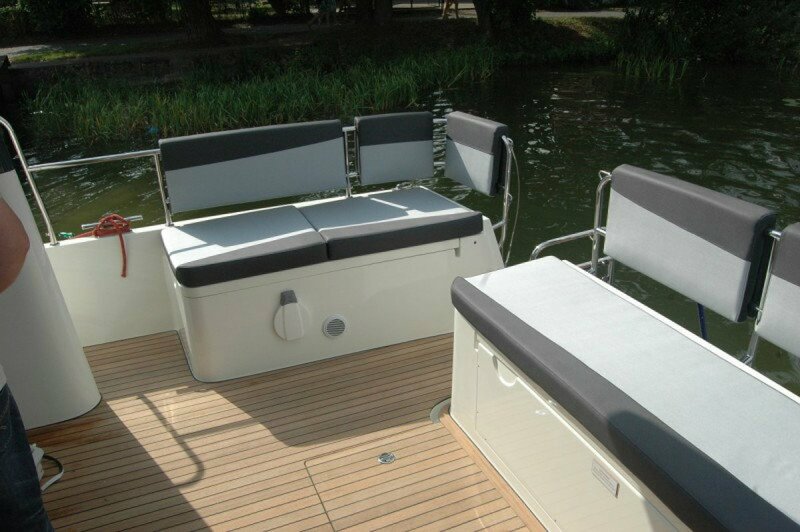 Engine room: Well insulated engine room with removeable panels allowing good access for routine engine servicing. 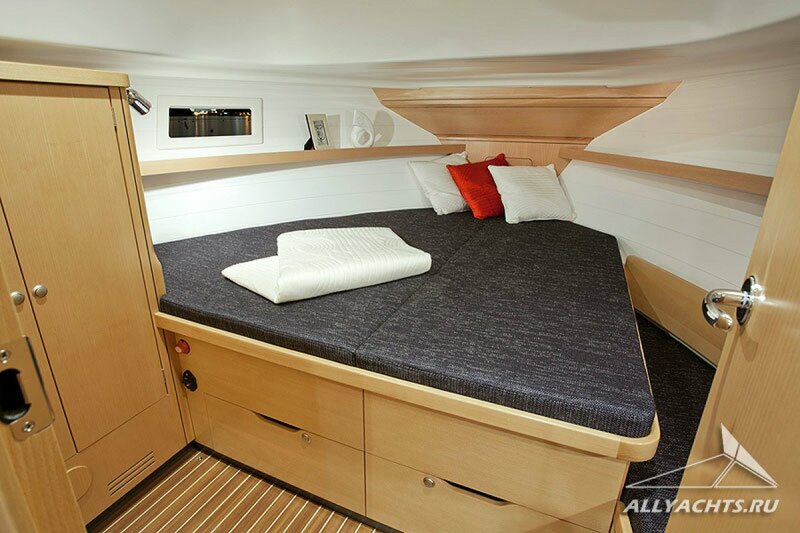 Double private cabin forward with double bed and hanging locker, shelves and seat. 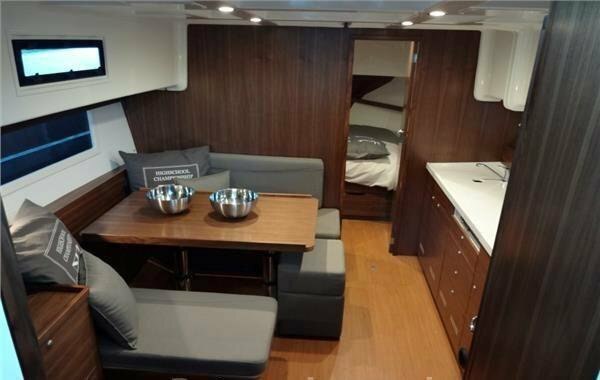 Spacious saloon features light mahogany timber finishes, exuding a warmth and comfort that makes you want to stay. Dining area with cream coloured upholstery and white imitation leather on the boards. 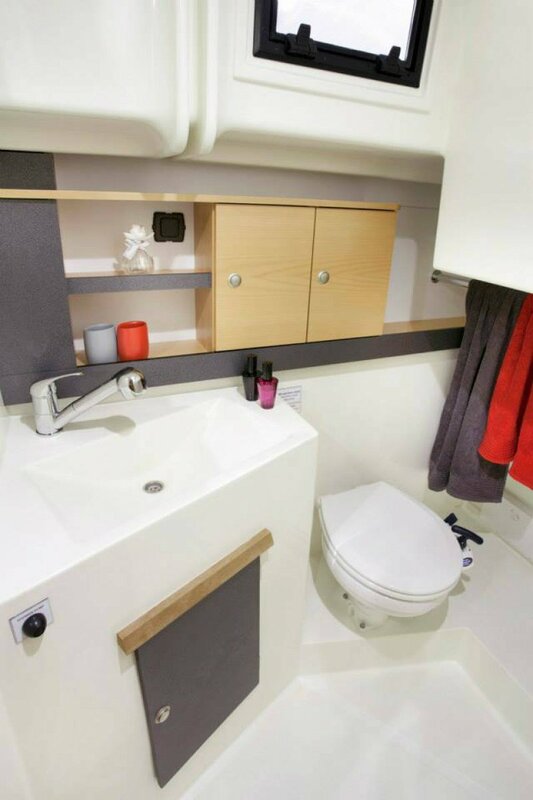 Easily worked galley and access to enclosed head with hot and cold shower, vanity and toilet. Other optional interior timbers are Cherry, Walnut, or Beech. Moving into the cockpit to a helm position with instrument pod, comfortable helmsmans chair and wheel with a ventilation window in side window next to helm. 3 storage lockers in aft cockpit seating. 75 litre top opening 12V Danfoss refridgerater. This is the most efficient configuration, but front opening fridges are available. Quick anchor winch, 12V electric, 10kg Delta anchor, 50m x 8mm galvanised chain. Wired 240VAC and 12VDC. House, engine start and bowthruster batteries. Battery master switches, switchboard with circuit breakers, gauges for volts, fuel, water and waste tank levels. LED lighting throughout. Led navigation lights. Hot water service, 30 litres. Residual current device. 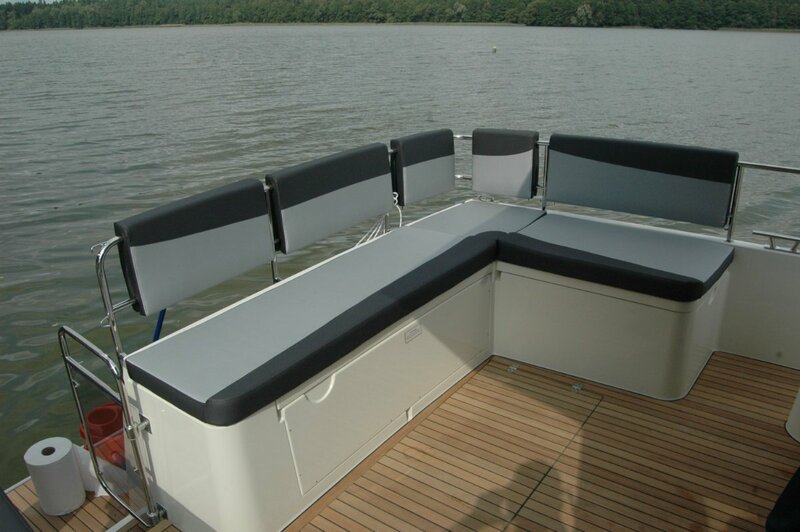 40 amp battery charger, Fusion stereo with am/fm/vhf, ipod, usb, antenna nad 2 speakers in cabin. 2 cockpit speakers are an option. Ducted airconditioning is an option, but optional genset required to operate at sea. TV antenna and cabling. Compass, Lowrance Link 5 VHF transmitter with DSC, arial and cabling. Lowrance HDS 12 combination GPS Plotter and fishfinder depth sounder. 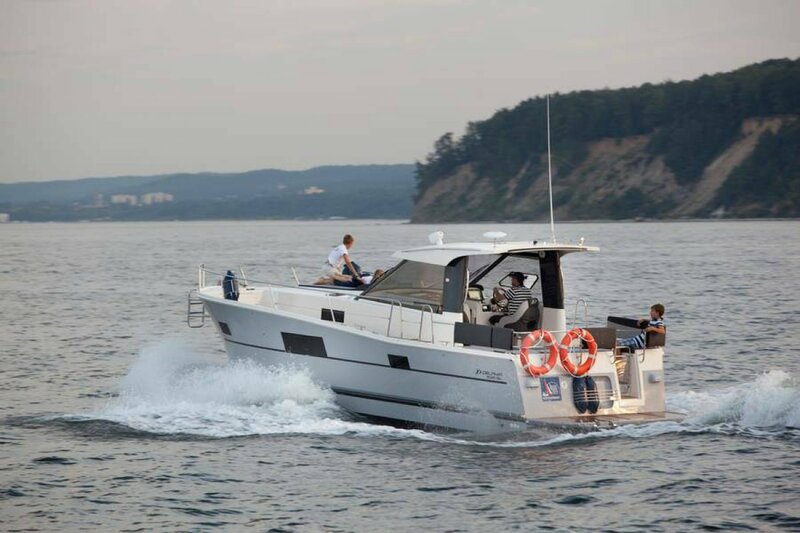 Simrad autopilot is a cost effective option. Pushpits and pullpits, stainless railing lifelines with boarding gates. Roof handrail, 6 mooring cleats, 8 open chocks in aluminium toerail, opening hatch above galley, opening hatch in head, basket for fenders at stern, large boarding platform with swim ladder, LED navigation lights, wheelhouse with glass windscreens, panoramic side windows in plexiglass, 6 portlights, opening hatch in saloon, above table, cockpit mattress and padded backrests on rails, sun deck mattress. 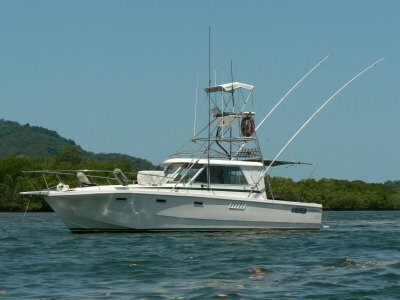 4 docking lines and 8 fenders, sliding roof extension shade awning over open cockpit, sliding hatch in wheelhouse roof.